Hi Guys, What inner CV boots are you using? Mine have failed after only about 1000 miles, You can see where they are binding. 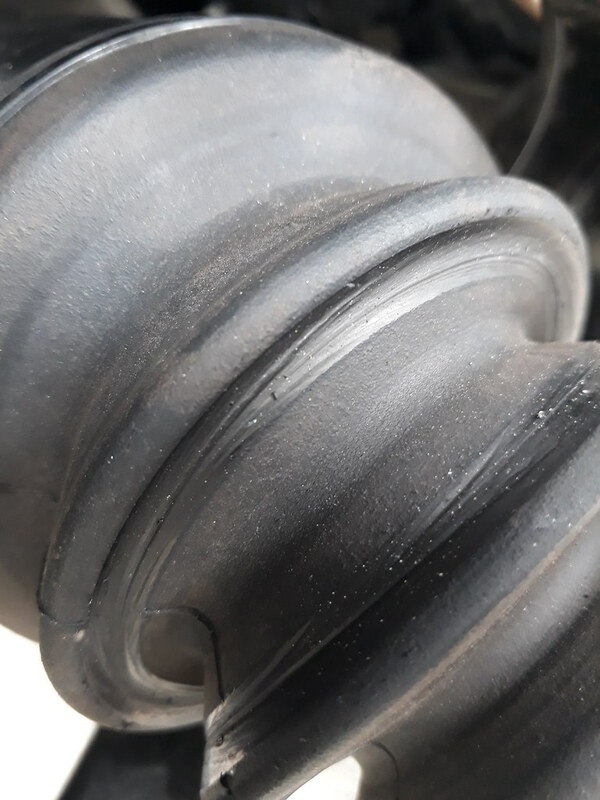 we used some mini outer boots on the inner joints - they were slightly stretched on but work well, they were the good quality ones from minispares. This is on the rover pg1 box but i'm sure the honda box has almost identical inner joints. they gave us some more clearance than the oem rover boots. Thanks very much for that, the difference between knowledge and experience. has anyone tried sealing boots on ? i had an audi that used to spit boots off no matter what i tried, in the end i used a two part epoxy glue, never came off after that and ive glued every pair of boots on there after, i still use the jubile clip just to be sure, if access was tight you could try without the jublie clip. Kam on here used tiger seal to secure his I believe! Yeah tiger seal would do it, once there in place they should t really move, it’s generally only the outer cv boots that cause any issues. This isn't the issue, mine are wearing at the corrugation to a point where they split. The boot isn't coming off the joint. Thanks very much for that I'll have a search, the car was running and driving before paint check out the thread for recent update. Is the boot to long ? You can get boots that you cut down, or maybe needs pulling apart if it’s to bunched up ? I think a longer boot would work better, I tried pulling them but they go back to the grove on the drive shaft after a couple of turns. I think it's the type of rubber that's causing the issue.